Anil Agarwal is CEO and 62 per cent shareholder of Vedanta, a London Stock Exchange registered Indian mining company. In 2011 he was the Sunday Times Rich List's 17th richest man in UK with a net worth of £3.81 billion and a £20 million home in Mayfair. Forbes believes him to be the 154th richest man on the planet. He is also a director of Vedanta's subsidiaries BALCO, Sesa Goa, Copper Mines Of Tasmania, Hindustan Zinc and Sterlite. Vedanta's bauxite mining and refining operations at Niyamgiri have come under major international scrutiny and criticism for illegal land acquisition, pollution and corruption. Indian Home minister P. Chidambaram- a former director of Vedanta, stepped down a day before becoming Finance Minister in 2004. Vedanta also made at least $2.5 million donations to the two biggest political parties in India in 2004 and 5. The advisory committee of India’s Supreme Court condemned the process of environmental clearance at Vedanta's Niyamgiri aluminium smelter which it said ‘smacks of undue favour/leniency’. A top panel of experts put together by India’s Environment Minister has described the ‘appalling degree of collusion’ of local officials with Vedanta’s ‘total contempt for the law’ while Norway’s Council on Ethics accused the company and its chairman of ‘corruption, fraud, forgery, manipulation of share prices, and insider trading'. 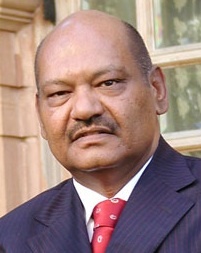 Anil Agarwal was born in Patna, India and began his industrial career as a scrap metal trader. He founded Vedanta in 1976 as a cable manufacturer and went on to help the Indian government privatise mining and establish India's first copper smelting plant. He floated Vedanta on the London Stock Exchange in 2003 with the help of JP Morgan Cazenove's top dealmaker Ian Hannam. . Agarwal was awarded Ernst and Young Entrepreneur of the Year in 2008. "I have to do things differently. I have to project myself. I have to have a Bentley, the best of chauffeurs and butlers. All these add to the confidence." Agarwal revealed himself an entertaining fellow when he was caught up in an industrial tribunal in 2003 just before he floated his Indian mining company in London. It emerged that he had hurled his digital diary at an executive, followed by the pouch in which he normally kept his reading glasses, with the words: "You have not seen my negative side and I will make sure that you do not have a place on this planet. I will destroy you." At this point, the tribunal related, the executive "left for his home, having no doubt that he had been dismissed" – a blow softened by the subsequent award of £805,384 compensation. In December 2015 Agarwal made a donation of £98,673 to the Conservative Party. Interview with Charlie Rose, 2 March 2006, where Agarwal discusses his capitalisation of India's privatisation of public resources, philanthropy, the Vedanta University (yet to sink), and India's democracy. Agarwal claims in this interview, "Ultimately, [India] will do the best [in comparison to China] because we're fully transparent." Vedanta's own reality is hardly one of transparency: As of 2011 48% of Vedanta's subsidiaries are registered in tax havens, where public access to their activities is kept far from transparent. This page was last modified on 22 December 2016, at 11:22.